Feedback is more than taking a moment to complete a brief survey on someone’s performance. At Intuit®, feedback is embedded into our cultural DNA. It’s what makes Intuit a “Great Place to Work” and is a core ingredient of our success formula for attracting, recruiting and retaining top talent. Employees serve as trusted teammates to one another and provide meaningful, just-in-time feedback throughout their daily activities and cross functional projects. Here are the best practices we recommend when giving and receiving feedback. Timing is everything. Create a work environment that encourages your employees to provide feedback in the moment. Feedback delivered as close to actual exchange allows the receiver to quickly recall the situation and build upon the context the giver describes. It also promotes strong working relationships when the giver can relay their feedback when the incident is fresh in their mind. Delaying a feedback exchange dilutes the value of the feedback and can create connectivity issues between the giver and receiver. Ask, before giving. It’s important that as a feedback provider, you confirm that the receiver is ready to receive your feedback. This is key to ensure that the receiver is in a place where they can stop what they are doing and listen to what you have to share. “Are you open to receiving some feedback on the exchange that occurred in the project review meeting?” If the receiver says yes, move forward with sharing your prepared feedback. If the receiver says no, work together to find a time that is convenient for both of you to share your feedback. Be open. Take a second to stop what you are doing and prepare yourself to receive the gift of feedback. Honor the giver by looking them in the eye and presenting them with open body language. Listen with the intent to understand the feedback, not to respond to the feedback. When they have completed sharing their feedback, summarize what you heard and thank them for taking the time to share the feedback with you. If there is a need to clarify any part of the exchange, ask any clarifying questions before the giver leaves. Reflect and validate the feedback. Replay the exchange in your mind. Take a moment to write the feedback down. Think about other situations where the same action or behavior may have been present. Have other people given you the same feedback? The great thing about feedback is it can reveal a pattern or uncover a blind spot that you didn’t know you had. Aware and share. One of the benefits of receiving feedback includes developing an improved level of self-awareness when it comes to understanding how you impact the organization and those around you. Now, you have the opportunity to make adjustments and share your progress with the feedback provider. As you work to form high-performing work teams and promote work environments that promote high levels of collaboration and trust, use these best practices when giving and receiving feedback within your firm. If you have best practices that you would like to share, please leave a note in the comments section below. 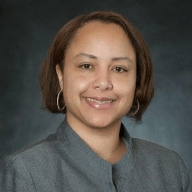 La Toya T. Haynes is a human resources business partner for Intuit. She is a graduate of Southern University and A&M College in Baton Rouge, Louisiana, where she received a Bachelor’s of Science degree in business management and The University of Texas at Dallas, where she received a Master’s of Arts degree in organizational behavior and executive coaching. She resides in Frisco, Texas, with her husband and family and enjoys cooking, movies, reading and being a New Orleans Saints fan. Fun fact: La Toya is the proud owner of a golden doodle who smiles!